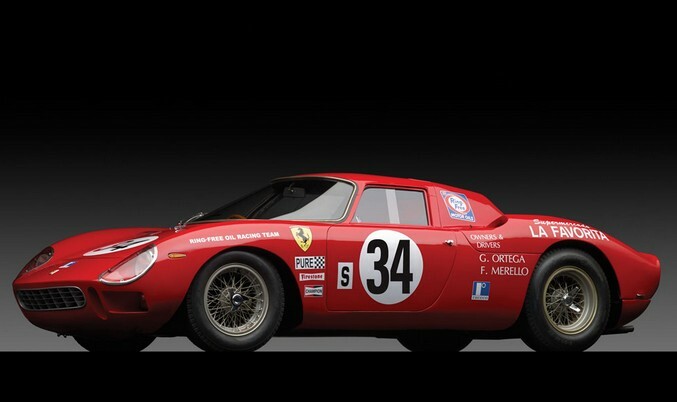 The Ferrari 250 LM was the last Ferrari to win the 24 Hours of Le Mans. It was the car that Ford came along and knocked off the pedestal. The 250 LM, while built in the same era as the 250 GT road car, was unrelated and was more of a prototype race car than a variant of any road car. After Daytona in 1968, the car went home with its owner to Ecuador where it competed in sports car races until 1974. The car was then sold and it went to England where it was lightly freshened after years on the circuit. In 1983, it moved to a collection in Japan. It is considered to be the most original 250 LM in existence. The engine (which is behind the driver) is a 3.3-liter V-12 making 320 horsepower. This is a car worth millions of dollars (estimate $12,000,000-$15,000,000) and it’s one of the finest examples of its kind. Click here for more info and here for more from RM’s monster New York sale. This entry was posted in Uncategorized and tagged 1964, 250, auctions, cars, classic cars, ferrari, lm, race cars, rm auctions, scaglietti by classiccarweekly. Bookmark the permalink.